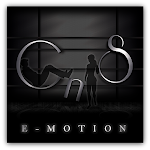 CnS e-motion: Happy Halloween from CnS e-motion! Happy Halloween from CnS e-motion! Happy Halloween e-mos!New spook-tacular pose out for FREE at our mainstore location only for a few days.Grab the TAXI below!